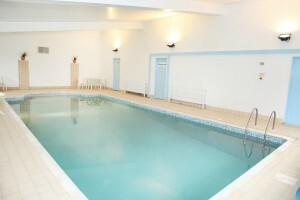 We understand that we have the largest indoor heated swimming pool (for the size of our complex) in the whole of Devon. We keep it heated at a baby/child/adult friendly 30 degrees. We have spacious changing rooms with toilet facilities and a shower. Beauty Treatments and Massages – we have partnered with a local beauty therapist who can offer massages and a range of beauty and holistic treatments in the room next to our indoor swimming pool. The swimming pool is open from February Half Term until the end of Oct Half Term and during the Christmas / New Year holidays. Opening hours within these dates are daily, from 9am-8pm. As well as our swimming pool you will find plenty of other things to do onsite. Our cottages are set-in six acres of beautiful Devon countryside. You’ll find fields, barbecue and patio areas. 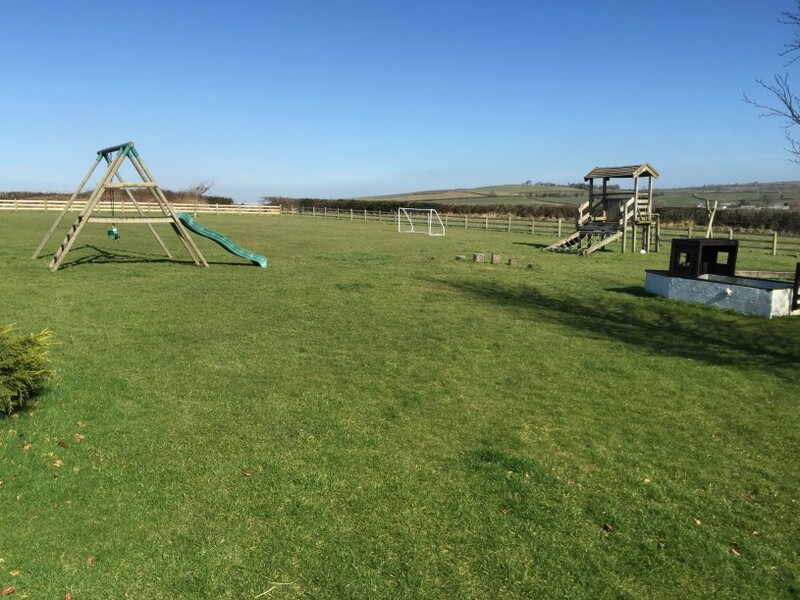 The grounds incorporate an outdoor adventure play area with climbing frame, slides, play boat, play tractor, swings and a play house. 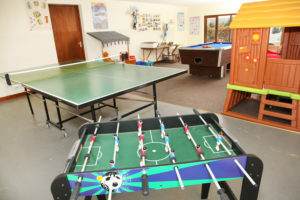 Our indoor games room contains table tennis, free-to-play pool table along with play farm and construction site, children’s toy shop, dolls house and numerous other toys, for girls and boys alike. 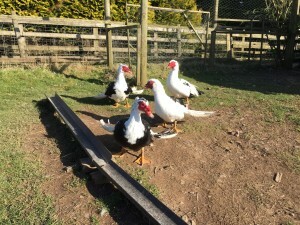 There are chickens, ducks, rabbits, pigs, sheep and goats to visit and feed. The laundry has a coin operated washing machine and tumble drier as well as iron and board and airing cupboard. 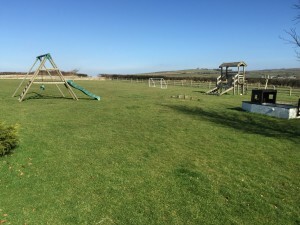 Washing lines are provided in the garden and a drying room is provided for the swimming pool. Why not have your groceries delivered? You can have your groceries delivered from Tesco, Sainsbury’s, Asda and Waitrose via their online shopping services – please use the delivery address: Hill Farm Cottages, Weare Trees Hill, Great Torrington, North Devon, EX38 7EZ. Tel: 01805 622 432.